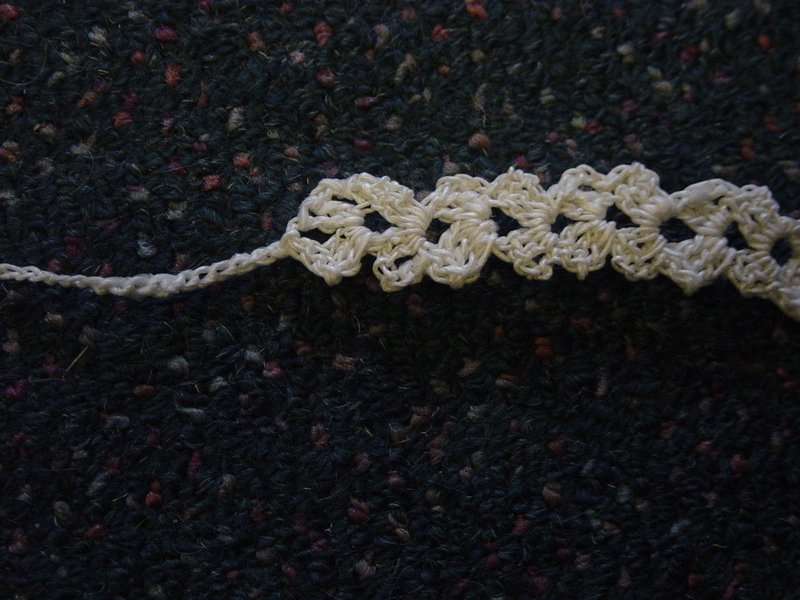 The plarn made from a freezer bag was tricky to crochet yesterday because it was not spun. What I needed was a drop spindle! I had a vague memory of a spinner that involved an apple somehow which I was shown when I was a child at school. I also remember being taken on an excursion to a retired school teacher's house who had a big proper loom which she would use a shuttle with to weave cloth. That earliest of memories inspired me long ago with a dream of making my own things. But how to make this apple spinner? I couldn't find out how to make it on the net, but I did find out how to make drop spindles from all sorts of things like CDs and cardboard, and some I'm sure a lot more elaborate than they needed to be. I didn't see the point in buying all those materials new to make something so simple. I was off to Lincraft today and I thought to see if they had any ready made, as they might be better balanced. If they didn't or it was too expensive, I'd just get some hooks and some dowel to make my own simple one. Unfortunately, they had niether spindles nor the materials to make one, although they did have everything else on my wish list. I was keen to crochet some more freezer bag plarn, but it really did need to be spun. Now I had researched the principles of drop spinning, I scouted through my useful box until I found some materials that might work. 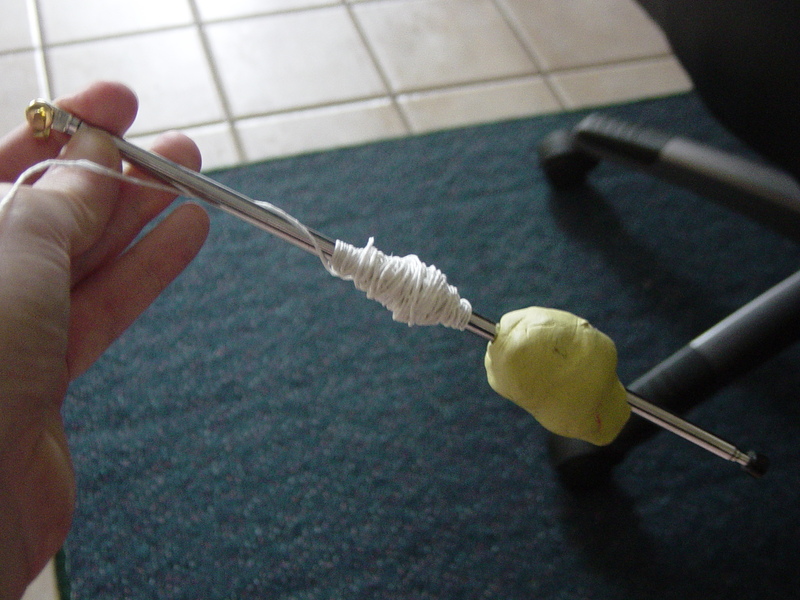 This is my first attempt at making a drop spindle which I've used to make plarn from one freezer bag. I used a long stick with a hole in the end. This one is an old TV antenna, and I have it because I liked how it's length can be decreased or increased like a telescope. I thought to use it in my teaching, but I never ended up really using it there, I have little idea why I've hung onto it for so long. I guess today must be the reason! 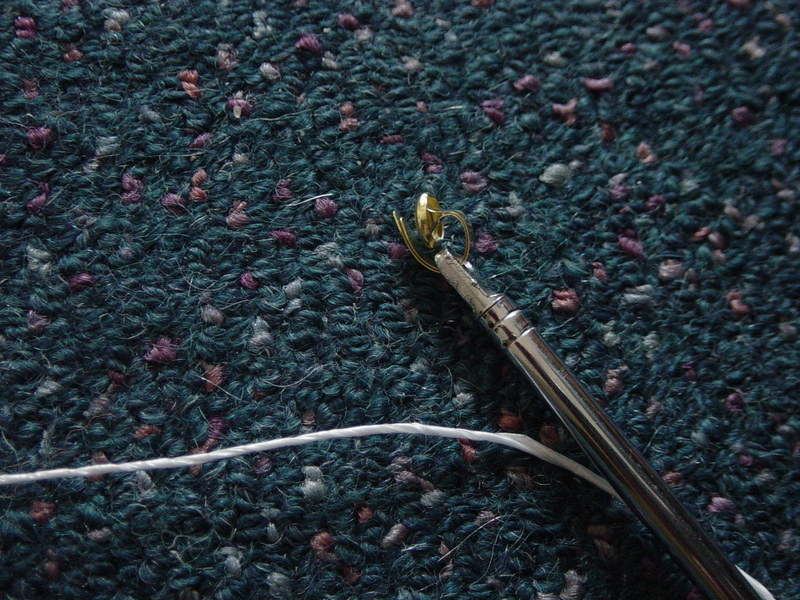 I used one paper fastener pushed through the hole then wound around like a hook. 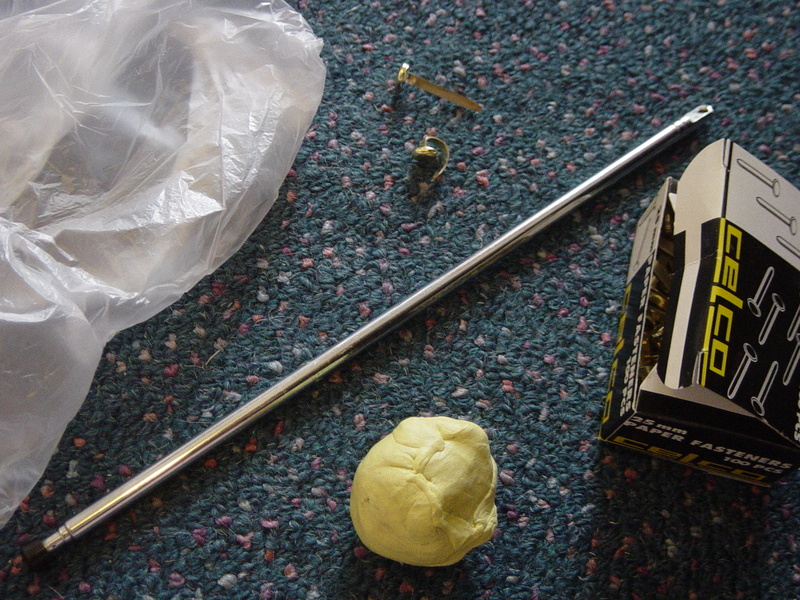 I then wieghted it down with a big ball of old yellow tac. This drop spindle was easy for me to work, although I don't remember using a drop spindle to spin yarn before, after a moment it seemed almost instinctual. You are simply twisting the yarn, I always spun the one way going clockwise so the yarn wouldn't unravel. When one piece of plastic was spun, I'd unhook it, wind up the excess plarn, hook it back up. I then put the base of the spindle between my toes while I added another piece of plastic to the previous plastic then spun that. It only took a moment to spin a freezer bag into plarn. This is a good youtube video on a homemade drop spindle. So, what can I make with this spun plarn? i just had a quick go at starting a headband using a stitch I did for a belt a while ago, but I think I got it wrong. I didn't reread it, maybe I should have!